CDs were sold to consumers as these virtually indestructible platters, but the truth, as exemplified by the disc rot phenomenon, is more complicated. — A spokesperson for EMI, commenting on research done on the permanence of compact discs by the record label Nimbus in 1988. Nimbus, the first CD manufacturer in the U.K., said that it had done some research into the disc rot issue and found that most discs will self-destruct after between eight and 10 years. The company’s findings, which went against prevailing theories of the time that CDs were indestructible, blamed the problems on improper dyes that reduced the quality of the discs. As highlighted by the quote, record companies were at first skeptical, but Nimbus’ concerns about disc integrity turned out to be important and true. Back in 2010, a blogger on the video game website RF Generation, frustrated with a series of purchases in which the games had suffered a degree of “disc rot” before reaching him, wrote a PSA to the game-collector community, calling on them to keep an eye out regarding the problem. 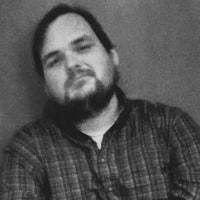 The blogger, who goes under the pseudonym “slackur” or “Jesse Mysterious,” then described a harrowing tale for a serious collector: After reading up on the disc rot problem, he went through his game collection, much of it in mint condition, and found white specs on many of the discs—a major tell sign of “disc rot,” or the eventual decay of optical media. Michele Youket, a preservation specialist at the Library of Congress, often deals with similar situations in her role. She says that this kind of silent destruction, which shows up in three different forms—the “bronzing” of discs, small pin-hole specs located on the discs, or “edge-rot”—became an important one for the national library when the organization started archiving music on CD formats, with the format’s weaknesses soon becoming apparent. The thing to keep in mind about optical discs is that, although they generally look the same, there are often notable, but minor, differences in how the discs are produced can have significant effects on the end results. An older disc might not use the same chemicals as a newer one, and over time, techniques tend to become more sophisticated. “Many of the causes of early failures of these discs would disappear as the technology matured. However, as new and more complex formats of these discs were introduced other mechanisms of failure would appear,” Youket explained. Whether you’re trying to protect your country’s cultural heritage or your own collection, it’s safe to say that disc rot is a huge, lingering problem. 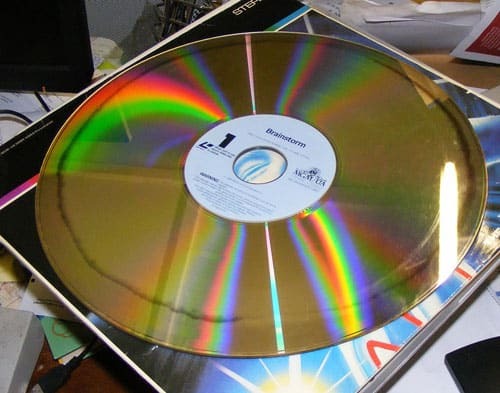 The number of years that a major British CD manufacturer, Philips and Dupont Optical (PDO) operated a customer support line specifically so it could replace consumers’ “bronzed” discs. Here’s what happened: Between 1988 and 1993, PDO pressed a number of CDs that used an inferior lacquer that wasn’t resistant to sulphur, which was a problem because there were trace amounts of sulphur in the attached books and CD inlays—meaning the stuff meant to protect the disc would damage it. This led the aluminum layer to eventually corrode, making the discs look bronze in color—and damaging the quality on the audio of the discs. PDO ran a hotline, allowing music-buyers to exchange these damaged discs, between 1991 and 2006. DVDs generally have better integrity than do CDs because the disc’s reflective layer is pressed inside the polycarbonate discs. But the discs are often more susceptible to breaking apart due to chemical reactions between the layers and the polycarbonate discs—and as a result, layers can delaminate over time. Dual-layer discs, however, tend not to hold up so well. Recordable discs don’t last as long, in part because of the organic dye used to record the bytes onto discs, which Youket says is vulnerable to degradation—particularly in the case of recordable DVDs, which have higher levels of light sensitivity, making them more susceptible to failure. Additionally, she says the way a recordable disc is burned is a major factor in defining its lifespan—a poorly recorded disc tends to wear out more quickly. If CD or DVD owners wanted to know what they were in for, all they had to do was ask Laserdisc owners, who were all too familiar with the early demise of their paid-for media all the way back in the ’80s. In fact, the term used by Laserdisc owners is “laser rot,” highlighting its first-mover importance in optical media. 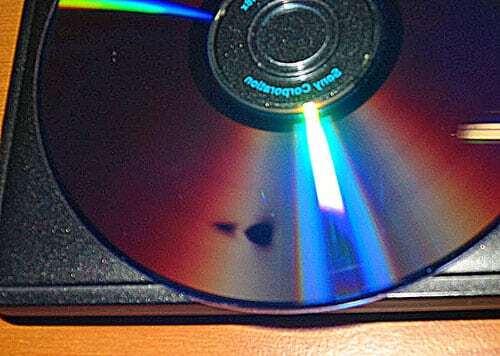 In the case of Laserdiscs, the glitches show themselves largely when playing the discs, which initially highlight small flecks of snow when playing the films, then devolve from there. The discs themselves often take on a cloudy appearance (as shown in this YouTube clip highlighting the rot on a copy of Saturday Night Fever) and the result is often quite disappointing considering the platform’s reputation for high picture and sound quality. The problem is so widespread in the Laserdisc community that the Laserdisc Database (LDDB), a hub for collectors, has an entire page dedicated to listing the most prevalent films featuring such issues with decay—essentially as a way to warn its members not to buy specific discs. See, much like the PDO factory giving British CD owners discs that eventually turned bronze, a U.S factory is often the target of blame for Laserdisc’s many woes—specifically Sony’s DADC factory, based in Indiana. If you dig far enough, you’ll find all sorts of conspiracy theories about why this Sony factory, far more than any other manufacturer, was building discs that weren’t made to last. The trouble that Laserdiscs face means the people are always looking for ways to preserve what they had. Last year, Engadget writer Sean Cooper discussed how he was nearly stuck throwing out a copy of the original Dragon’s Lair arcade cabinet, because he couldn’t find a working copy of the original disc—makes sense, considering it was in production more than 30 years ago. There’s obviously something to be said about enjoying a piece of entertainment in its original format, but when it’s out of the view of the mainstream, both companies and the bulk of consumers are often ready to move on to the next thing. But where does that leave the stuff in the older format? Often, businesses tend not to be the greatest shepherds of the formats they sell once they fall out of mainstream interest. While the Library of Congress’ Youket cites the existence of “archival-grade” recordable discs as a way to better keep things safe in the long-term, her LoC colleague Peter Alyea, a digital conversion specialist, says that the shift to cloud computing has likely pushed companies away from supporting their data formats in the long run. Things age, and stuff inevitably loses its luster with the passage of time. But in the age of the cloud, at least, consumers are pretty close to making it someone else’s problem. Archivists don’t have that luxury.